Women of the 19th century were often elusive, enigmatic figures, as their roles stayed confined to the walls of of the home. In the 19th century, men typically dominated the public sphere while their female counterparts remained constricted to the spheres of privacy and familial dealings. So when a woman’s name makes it into books, a story always lies behind it. A 19th century woman whose contributions continue surviving typically landmark a creative troublemaker who ruffled feathers and refused to stay silently content in her role. Susan Archer Talley Weiss’s story is the stuff of legends, with details of her controversial life still argued to this day. She made a name for herself through writing and painting, not because she had the privileged leisure that Emily Dickinson enjoyed, but because she had to in order to maintain her independence and survival. The scrambled details of her birthdate, deafness and difficulty speaking, and her eventual acquaintance with famed American writer Edgar Allan Poe are often argued and misconstrued by historians and literature aficionados. However, the continued interest in her story reveals an obvious truth—Weiss, like many women even today, was the sole champion for her well-being and independence. As early as her late teens, Susan Archer Talley saw her work published in Southern Literary Messenger. By 1859, her poetry collection aptly titled Poems was published. During the first half of her life, Edgar Allen Poe provided both influence and inspiration for her writings. 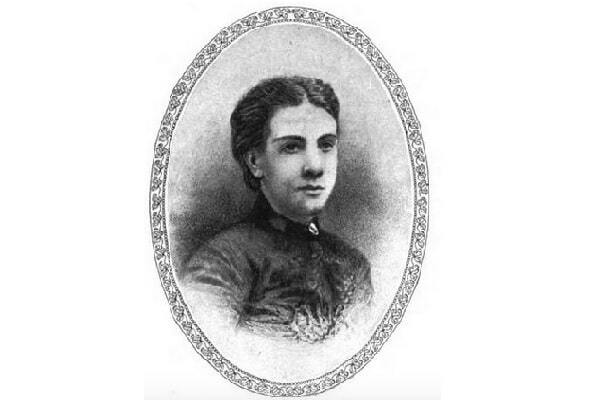 But when the Civil War began in 1861, the deaf writer’s claim to fame changed from a solitary, bachelorette poet to spy and secretive seductress. Further details about her arrest and confinement show that Talley continued acting as a spy, quietly moving back and forth between borders. Eventually, she seduced one of her captors—Lt. Louis Weiss—into a secret marriage resulting in an equally secret pregnancy. In 1862, the Union released her and her husband resigned from the Union Army. When her husband went to his home country of Germany, she also returned home to Richmond, Virginia. As her pregnancy developed, her secrets were revealed to those close to her. According to Edgar Allan Poe Society of Baltimore, “she sued for divorce and retained custody of their only child, a son, Stuart Archer Weiss,” which was rarified air for any woman during that time period. Of additional note, Susan Archer Weiss did not seek alimony nor remarry, leaving her to support herself and her son by her own income alone. Single motherhood was unheard of during this time period. Thus, her talent in writing became her sole financial weapon. Highlighting Weiss’s life is not meant to glorify her failed attempts at aiding the treasonous Confederacy, but to put on display the fascinating life of a Southern woman who strived to acquire and maintain her independence while acting on her own volition. It’s a portrait of a woman with a disability who carved a memorable name for herself by living despite fear and being uprooted from a wartorn home. Her story shows the multiple layers of identity that continue to run deep within Southern women. As a seductress, single mother, and poet, men played a small supporting role in her existence that she shrugged off as soon as she could. Weiss was successful in spite of —not because of—the men in her life. What borders do you move back and forth between? Tell us in the comments. This is indeed a fascinating story… and, it seems, just the tip of the iceberg. I am glad you make clear that you are not condoning spying but instead are pointing up the facts of Ms. Talley Weiss’s strength and fortitude as a single, disabled woman in the South. I am not a single woman, but I do cross borders and know firsthand what an almost insurmountable struggle it can be. Thank you for shining a light. Sign me up for news & free issues of The New Southern Fugitives!